Size: 425 sq.ft. - 643 sq.ft. Lodha Palava City Greenfield is welcoming a newly launched residential concept CODENAME PRIME SQUARE in the suburb of Mumbai Dombivli. Lodha Palava is among the World's Top 50 liveable cities sprawled over 4500 acres. Prime Square is to be configured in Phase 2 of Palava City which is home to stunning key amenities at your easy reach. The Phase 2 of Lodha Palava City is meant for all types of residence due to it's globally neighbourhood that will cater basic to advance needs. On the one side you can get view of a shopping mall and on the other side a natural lake. As you enter the Prime Square you will find this place as green zone with tree lined road views, beautiful gardens, lakes and a forest area where 100 of trees have been planted. These Premium 1 Bed, 2 Bed and 3 Bed apartment towers are enveloped by a big 5 acres Palava Nature and Waterside Park. The apartments are given premium finishes with the special price at 42 Lakhs to 66 Lakhs and possession to be expected by July 2022. The idea of designing Palava Prime Square is inspired by Dubai, Singapore & Chicago waterfront developments. Lodha Prime Square has occupied 2 Acres of total area. The inner walls are painted with Acrylic Emulsion and Exterior walls with Cement based paint. The size of apartments in Prime Square ranges from 467 sq.ft to 875 sq.ft of carpet area. Prime Square Township consists of 4 to 6 high rise buildings standing 20 floors high with 3800+ apartments. The kitchen fittings are done with Granite platform and single sink with drain board, Aluminium coated sliding windows, Vitrified marbles are used in the bedroom, living room, Kitchen, Anti-skid tiles in Balcony & Bathrooms. Lodha Group was established in 1980 and among the foremost Mumbai real estate firm. It was founded by the Chairman Mangal Prabhat Lodha with the aim of fulfilling different lifestyle necessities of many home buyers. The group expanded their operation in Bangalore, Hyderabad, Pune and United Kingdom. Lodha is engaged in developing various types of portfolios like retail spaces, Townships, IT Parks, Residential projects, corporate spaces etc. Lodha Group is having the strength of 3000+ Employees and holds the merit of for executing about 35 Million Square Feet of developments. Lodha's leading landmarks – World One which is known as world's tallest residential building then comes Palava City – The first smart city in India over large acres of Greenfield. With 38 years of experience in the industry the group has won several awards. Lodha Group has been rated one of the most profitable player of India real estate sector. Lodha Palava came into plan in 2000 and in 2009 Palava City got his first township launched in Dombivali East beyond Thane. The township was named Casa Bella and within a week there were lots of booking started and about 2400 families chose to be part of the township. This new launch Prime Square is part of second phase of Palava Mega City in well-developed locality of Kalyan-Dombivli. From Dombivli you can travel to Central Mumbai in no time via Rail. Dombivli has all town facilities, networked through roadways & railways. 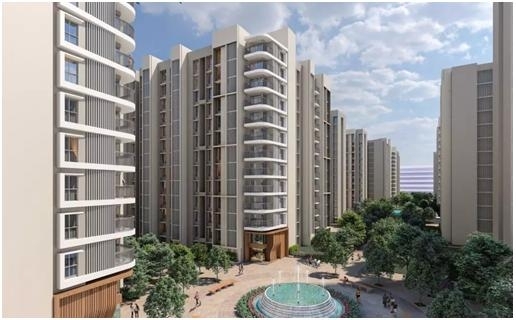 This residential address (Prime Square) enjoys major daily utilities like Lodha Prime World School, Lodha Health Spring Hospital, Office building and more. Soon the Palava going to build HDFC Bank office, CBSE School, advanced learning institutes, Xperia Mall, PVR, Jain Temples and much more under one roof of smart city. Near Prime Square apartments the Lodha has constructed Casa Rio, Casa Rio gold, Casa Bella, Casa Paseo and Lodha Easy Lease with access to Golf Course. Codename Prime Square is conveniently located in Palava City which is in the intersection of Kalyan Junction & Dombivali at Shilphata Road, Maharashtra – 421204, India. Lodha Group is welcoming you to the world of Codename Prime Square that has been loaded with finest amenities and facilities – A central boulevard, Multi-Tier Security System, Kids play area, Dog Walk Park, World Class Clubhouse, Panorama Sundeck, Lake side Park, Multi-Purpose Hall, Lake side towers, Gurudwara, Air Conditioned bedrooms, Swimming Pool, Lift, Sports Facility, Car Parking, Intercom Facility, Jogging & Cycling track, Cricket Ground, Football ground and so on.